We had a lovely meeting Tuesday evening. We discussed PTCC Board election process and timeline. We have 8 new members nominated and the current board has been re-nominated. Ballots will go out later this spring. Cherry Blossom: Popping dates have been finalized: 4/6, 4/13, 4/14. Please sign up to pop popcorn and/or work in the Cherry Blossom booth! Students in kindergarten, 1st, 2nd, 4th and 5th will perform on Saturday April 20th on the stage at the Cherry Blossom festival from 1-1:30. EVERYONE will march in the parade on Sunday the 21st. Stay tuned for more information and details! The incoming kindergarten welcome breakfast will be on April 5 at 8 am. Please check your email and consider bringing a breakfast food and stopping by to welcome. The summer kinder playdates are set: June 15 at Kimball, July 20 at Kimball, Aug 17 at RP. JBBP Advisory Board is continuing to hold meetings with various groups in our school community. They want to know how these groups feel JBBP is working or not, and what should/should not be changed. Next meeting is a PTCC General meeting on May 7th at 8:00 am. We had a good meeting Tuesday evening. We discussed PTCC Board election process and timeline. Our current board will be losing four members. The 10-day nomination period will be announced in the newsletter and monthly email blast. Our annual auction and matsuri is this Saturday! Donations will be accepted through March 6. The auction committee is ready! 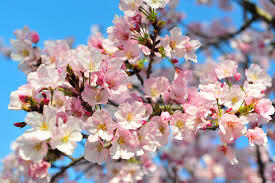 Cherry Blossom: Popping dates have been finalized: 4/6, 4/13, 4/14. The committee could always use another member! Summer Kinder playdates: June 15 at Kimball, July 20 at Kimball, Aug 17 at RP. Welcome breakfast: April 5. Seiko Gakuen students will arrive March 19. We will give them a t-shirt and water bottle. Discussions with possible taiko instructors is still ongoing. We’ve had many visitors from Japan recently. Currently, university students are here observing. JBBP Advisory Board is holding meetings with various groups in our school community. They want to know how these groups feel JBBP is working or not, and what should/should not be changed. The PTCC Board will continue discussions regarding how to best allocate our funding in the upcoming year. Next meeting is a PTCC Board meeting on April 2 at 6:30 pm. We had a well attended general meeting Tuesday morning. We voted on and approved two additions to the PTCC budget: additional funds for 4th grade camping trip, and additional funds for a speaker system for the auditorium. We are currently accepting nominations for PTCC Board of Directors. Elections will be in May. Our first whole school holiday catalog went well. Auction committee is meeting weekly. Donations are now being accepted. Look for information in the newsletters, JBBP monthly blast, and on the website. Cherry Blossom Festival committee is looking for members. Look for information in the JBBP monthly blast. PTCC was awarded a grant from the San Francisco Japantown Foundation for a TBA amount. The grant will fund cultural arts such as taiko instruction and other artistic activities. 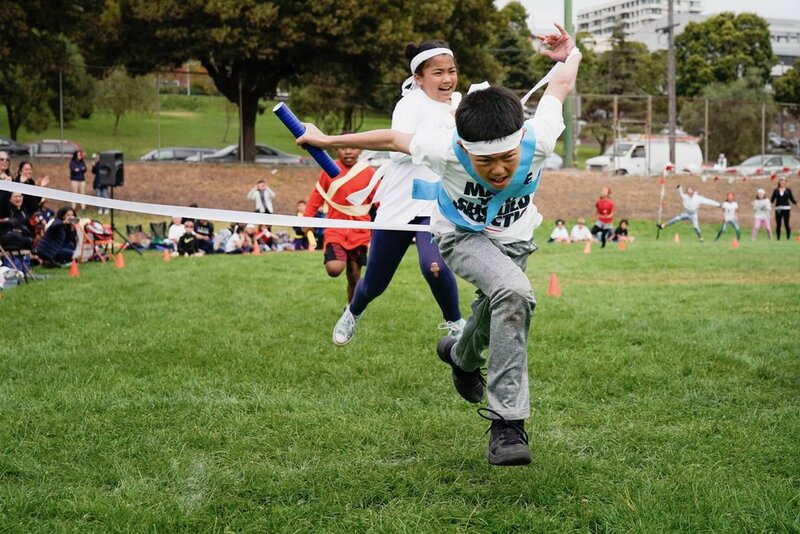 The next school tour will be in March after SFUSD placement letters are sent. A welcome breakfast in April will be organized. RP is looking for a Stop-Drop-and-Go coordinator for next school year. It is a paid position for 1.5hrs/day. Twelve people (parents and kids) are needed to sign up for this summer’s trip to Japan. The trip is open to 5th graders and their families. For more information contact Ms. Nakamoto. Twelve Seiko Gakuen host families still needed! We are looking for host families for 25 (10-11 years old) students from Seiko Gakuen in Japan. Please be available from Tuesday 3/19-Friday 3/22. A group of 12 administrators and teachers from Japan came to visit our school last week. They observed classes and ate school lunches with a group of JBBP 5th graders. They were surprised at how well our students can speak Japanese. A small group from Rosa Parks went to Clarendon to observe and discuss what differences the set-aside has made to Clarendon’s JBBP classrooms. Clarendon is very pleased with the set aside. We do not yet have a full assessment of how the set-aside affected RP JBBP’s enrollment. Next meeting is a PTCC Board meeting on February 5th at 6:30 pm. We had a lovely meeting on a rainy Tuesday evening. There are many events coming up and your help is needed! Teachers and Sensei have begun preparations for our annual Gakugeikai (Performing Arts Night) and we need your help too! Please sign up here to help your child's classroom or the general program. The performance is Friday, December 14th, 2018 from 6:30 pm at Gateway High School. Gateway High School located 1430 Scott Street San Francisco, CA 94115. We need volunteers to pop popcorn and organize holiday catalog orders on Saturday December 15th. You can sign up to help here. Fundraising plans have begun for the auction. Please mark your calendars for the auction on Saturday March 9th. We need kindergarten through 2nd grade families willing to help with the auction. Tickets will be $45 early bird and $60 at the door. Childcare will be available and will cost $35. We are looking for host families for 25 (10-11 years old) students from Seiko Gakuen in Japan. Please be available from Tuesday 3/19-Friday 3/22. You will meet with the students on 3/19 right after the dismissal and be a host until Friday 3/22. The students will be leaving on the morning of Friday 3/22 from school. 1. 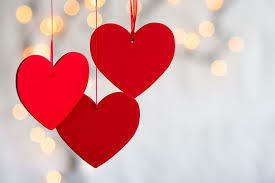 It is very important that you will be available for all the dates of hosting. 2. Please provide breakfast, lunch (for school), and dinner and a place to sleep. Host family information meeting: TBA (around February) for those who are asked to become host families. Next meeting is General Meeting on January 15th at 8 am. We had our final transitional board meeting of the summer on August 14. The Advisory Board suggested we hire an accountant. Jon will distribute the new budget this week. The board will review and vote on it prior to the first PTCC general meeting. Fundraising: Kiyomi submitted the SFJF grant application. 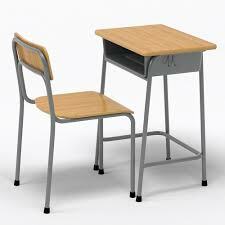 The teachers have suggested increasing the time spent with Anthony Brown Orchestra and perhaps adding taiko classes. Tais and Yuki will have the online store ready to take orders for delivery at Friday coffee and Back to School night. Proceeds from this year's Japanese American Religious Foundation's Curry Cook Off will be donated to Rosa Parks JBBP! This year's cultural events calendar has been set. The next big JBBP event is Undokai on September 28. Rosa Parks has several new teachers this year including Colleen Tate, a JBBP alumna who is teaching 1st grade while Ms. Noguchi is on sabbatical. PTCC board member Laura Schmidt-Nojima joins the RPES staff at Literacy Coach. 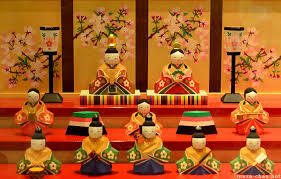 Ms. Nakamoto will be sending out information regarding the 5th grade Seiko Gakuen trip to Japan. She will be inquiring about student interest and chaperone volunteers. Morioka sensei reported that 3 college students from Japan will be visiting Rosa Parks for 2-3 weeks. The Advisory Board will be meeting with Mr. Kawaii to discuss the set-aside. The Advisory Board has begun thinking about a possible video for JBBP’s 50th anniversary. This year's PTCC general meetings will be Tuesday mornings: 9/18; 1/15; 5/7. Board meetings will be first Tuesdays of each month beginning 10/2. We had a nice meeting on Friday morning, May 11, in the Rosa Parks cafeteria! Cherry Blossom Festival went very well. We had a good group of volunteers from USF, UCSF and SF Foundation as well as JBBP families (but would always like more!) We popped over 1400 bags and sold approximately 1300. The parade was a lot of fun! Many of the family members learned the dance, marched with the group and looked great! Thank you to everyone who helped! Friday, May 11 is the last day to vote for PTCC Board of Directors. Ms. Ina’s uncle and aunt spoke to students about the internment camps. The students really enjoyed the talk! A new sound system for the auditorium, to be integrated into the remodel, will be put in the budget. Teachers said thank you to families and volunteers for a successful Cherry Blossom Festival. Mr. Kawaii said thank you for a great year, and a special thanks to 5th grade families. He hopes to work closely with both parent groups next year. Owakareshiki will be May 31. Following the ceremony, 5th grade families will plant a sakura tree in the yard and have a potluck. We discussed the Set aside. The Advisory Board is working on a strategy to move forward with a response to SFUSD and also a strategy regarding how we recruit. Final numbers are not yet in for Cherry Blossom, but overall our revenue is up from last year. Our online store did well selling popcorn and parade shirts. Eventually we’ll have all of our products online for sale. Tais will be doing a complete inventory of the apparel. Summer playdate planning is beginning. Ryoko Chernomaz will be hosting June’s date. June’s and July’s dates will be held at a to-be-determined playground because of the construction at school. We will be posting meeting synopsizes and other JBBP news on our website blog so those who do not receive our email blasts can stay up to date. An opt-in form can be found on our contact page. JBBP students’ Japanese software is being redesigned. Bob Smolenski has designed the prototype and the sensei will do the voiceovers. The date for the next PTCC meeting is TBD. We had a special board meeting about the Japanese Native Speaker set aside for seats in Rosa Park’s JBBP program in kindergarten for the 2018-2019 school year. According to the district, the purpose of the set aside is to serve native families and to reinforce the peer model (native Japanese speakers can model correct language and pronunciation). 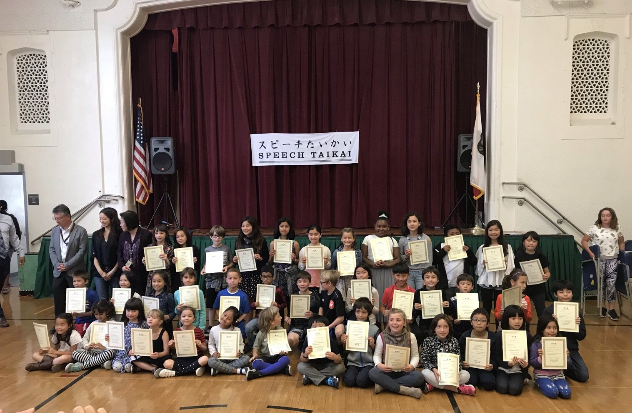 Students qualified as Japanese native speakers if they received a score of 15 or higher on a short assessment In kindergarten for the 2018-2019 school year 10 students were offered spots as Japanese native(JN) speakers, of that group, two did not register and thus there are two open slots for Japanese native speakers for Round 2. Principal Kawaii had a meeting with members from EPC, Multilingual Pathways and the principal of Clarendon about the set aside results so far. As a result we know that families cannot apply as a Japanese/English (JE) student if they have been designated a Japanese Native Speaker. In the lottery this year, kids who were proficient and labeled Japanese native speakers had a ½ chance in getting in. A Japanese/English speaking student has a 1 in 15 chance of getting into the Japanese/English non-sibling slots. The district has made a decision that all FLES programs and language pathways will likely have set asides for native speakers, if not immediately then eventually. Instead of the one year review that the district stated there would be last year, there will now be a 3 year review of the program and the set asides. The “immersion” designation on some paperwork was a mistake and has been removed. In terms of next steps, there will be further discussion at the general meeting on May 11th. Some outstanding questions that PTCC and the advisory board have are: If you were Japanese native speaker (JN) and CTIP (Census Tract Integration Preference 1 applies to students living in areas of the city with the lowest average test scores), do you have more priority? What is the idea of a Japanese native speaker? Is the test rigorous enough and is the cut off score high enough? Next meeting date is a general meeting on May 11th at 8:00 am. Please join us! Because there is so much information regarding the Cherry Blossom Festival, we want to give you a list of all of the sign up links you'll need to get you to all of the fun in the next two weeks. If you want information about these events, please refer to previously sent emails. If you have any questions, please contact Michi Toki jmtoki@mac.com. Here is what you need to know about Cherry Blossom Festival 2018! Get comfortable, here's a lot of information coming your way! We had a great turn out of Kinder families, 3rd Grade families and many others on our first popping day last weekend! Let's keep it up this weekend! Festival goers LOVE our popcorn so much that last year we sold out early. This year we want to pop as much as we can to keep our fans happy! Even if you can't make it for a full shift, please come lend a hand. It's FUN!! Remember, you can sign up for any day! If, for some reason, you don't want a free hair net, please bring a head covering. 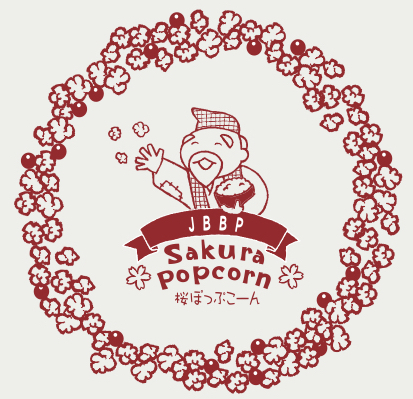 After you've helped produce our Sakura Popcorn, come over to the Food Bazaar to help sell it! (It practically sells itself!) Please let us know if you have a truck or van we can use to transport supplies to and from the booth. Sign up here! Be a part of the Rosa Parks red wave! Every year spectators remark at what an amazing sight it is to see our Rosa Parks community coming over the hill dancing and marching, having a fantastic time! All students, families, alums and friends are welcome to dance and march in the parade on Sunday, April 22. The parade starts at 1pm at Civic Center. Please meet on the north side of McAllister between Polk and Larkin by 12:15pm. Kindergarteners will join the 1st-5th graders at Post & Octavia Streets near the Carlisle. Please arrive by 1pm. Please let us know if your child will be marching in the parade so we have the appropriate number of happi coats for all students. All students and families who want to march in the parade are strongly encouraged to learn the dances! This year we will be marching and dancing to a great mash-up of two songs: Sebonzakura (literally "1000 cherry blossoms") and Feel it Still by Portugal. The Man. We're looking for several people to help lead and call out the dance moves as we march in the parade! Dance video and lyrics and dance step call outsAnd join the students for dance practice, 4/17-4/20, 1:15-1:50 in the yard! Here are tips on how to dress in traditional matsuri-style! (Thank you Satoe Haile!) Students should wear navy, black or red shirts under their happi coats and black or navy pants. Adults—please wear your happi coat or wear your parade t-shirt. If you do not have either, please wear red on top and dark on bottom. Parade t-shirts are available for sale here! You can choose to send your purchase home with your student or pick up on Friday at Coffee Klatch. You may also pick up from Ms.Nakamoto on certain days. Details on the store site. We have limited spaces on the cable car shuttles from Rosa Parks to the parade start at Civic Center at 11:15am and 11:45am. Confirmed cable car riders will be notified next week. Parade and shuttle sign ups here. Parade volunteers, please sign up here! We have a limited number of parking spots available at the school reserved for volunteers, marchers, and performers only. Please pick up your parking pass, while they last, from Nanayo in the office or when you arrive to pop popcorn. Cherry Blossom Festival, from the popping to the parading, is a really fantastic and action-packed time for our community. We hope you can join us for all of the excitement! Thank you, wonderful families!!!! We had a fantastic well attended meeting on Tuesday November 7th in the Rosa Parks cafeteria. Here are the highlights! Mission Statement: Based on previous meetings the board acknowledged that we need to review the JBBP mission statement. One of the co-chairs drafted a mission statement and the teachers also have a mission statement. Both statements are similar but not the same. Next steps are to form a smaller committee. If you would like to join please email Gayle Kojimoto-Hume at kojimotohume@gmail.com. Holiday Catalog is coming! The holiday catalog came out in the Wednesday newsletter. Green team catalog also goes out this week. Holiday catalog orders are due before Thanksgiving. Popcorn popping will be Sunday December 10th so please keep a lookout for signups to help pop. Anthony Brown/Asian American Orchestra Gift will perform for the 3rd through 5th graders on Nov 17th. Gakugeikai is at Gateway and starts at 6:30 on Friday, December 15th. 5th graders are selling bento dinners and there will be a bake sale. There will be a professional video of the Gakugeikai performances that will be for sale. Please keep an eye out for order forms coming soon. Next board meeting is December 5th at 6 pm in the cafeteria and next general meeting is Friday January 12th at 8 am. Please join us! Students from a school in Japan, Seiko Gakkuen, will be visiting in March again from the 21st- 24th. We will need over 20 host families. A flyer will go home this week and the host family information meeting is in February and there is a link to sign up on the flyer. Please consider hosting a student! The annual Auction will be held on Saturday March 10th at St Mary’s Cathedral. If you would like to join the auction committee click here. We had a lively PTCC meeting on Tuesday October 3rd. We discussed future whole school events Events the 45th JBBP auction and the Cherry Blossom festival. The auction team will meet this week and then monthly through the end of the year. In January they will meet weekly until the auction in March. The auction is so much fun and a lot of work. Please email Gayle Kojimoto-Hume (kojimotohume@gmail.com) if you want to join. 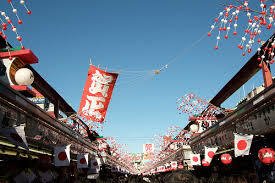 The Cherry Blossom team will begin meeting monthly in January and then biweekly in March. The Cherry Blossom committee includes prepping for the Cherry Blossom parade and popping popcorn that we sell in a booth at the Japantown Cherry Blossom Festival in April. Please email Michi Toki, jmtoki@mac.com, if you would like to join this committee. Our next board meeting is November 7th at 6:30 (6:00 potluck) in the Rosa Parks cafeteria. We will once again have the holiday catalog in November. We will sell gift cards, shirts and hoodies, popcorn and other items. The popcorn team will probably the pop the first weekend (1 day) in December. The catalog and opportunities to volunteer will be coming in a month. At the General Meeting last month the budget was approved by membership, but the PTCC board has the final vote. The board approved a revised budget that included funding to support the PTA in paying for the garden teacher for 2018-2019. Members expressed opinions for and against the garden coordinator line item. Agreement was reached to keep the garden position budget with provisions. Undoukai was a great success. Thank you to the sensei and teachers for organizing it and and thank you to the parent volunteers! 20 Japanese students from Seiko Gakkuen will come to visit again before Spring Break. We will be looking for host families in the Spring semester. We need someone to lead the committee to organize host families, gift bags/student experience. Please email Laura Schmidt-Nojima, lsn.sfc@gmail.com, if you would like to head up this committee. 1st and 2nd grade aka(red) team ball toss at Undoukai.